Getting to travel so many miles and see so much last week was a real experience. So many scenes, so many cultures, so many different people! 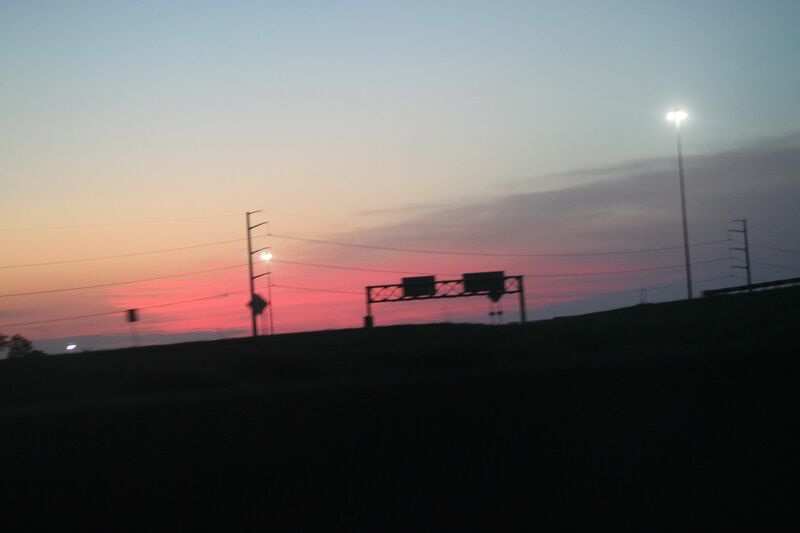 But when we finally arrived back home, this was the sunset. And I was reminded that there's no place like home, not just because I'm in Kansas. There's just something warm and comforting about home and that's just here on earth. I can't even imagine what our eternal home will be like! What a beautiful sky..just love the sky..it always sends a sign of God's love..guess that is why I enjoy taking pictures of it..
Beautiful sunset! I too love the sky and I love coming home. No matter where I go and how much fun I have there, it is always so great to be home!